Meghan had the opportunity to review Designer Whey products. 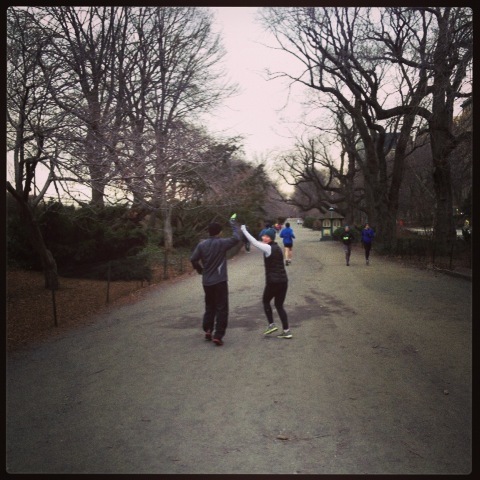 She tested out their protein powder, bars, shakes and their Protein2Go packets throughout the month of April. Disclaimer: Designer Whey sent me the products for the review. All opinions are my own. I'm a huge fan of smoothies, especially protein smoothies. I pretty much drink one smoothie a day - either for breakfast, an afternoon snack and a post-workout meal. When Designer Whey offered to send product to us to review and test out, I said "of course!" We've used a number of different products before and are always open to trying out new or different brands. I have a sensitive stomach and can't tolerate lactose or soy. I don't really like the aftertaste of hemp protein and some whey proteins have had an adverse effect on my stomach. I've used their French Vanilla Whey Powder in the past so I was looking forward to trying new flavors and their new products. The box I received was loaded with products: Powders (French Vanilla and White Chocolate), Bars (Triple Chocolate Crunch, Chocolate Caramel Crunch and Peanut Butter Crunch), Shakes (Vanilla and Chocolate) and their Protein2Go packets (Lemonade, Mixed Berry and Tropical Orange). The bars are my favorite new product from Designer Whey. They were delicious and didn't have that gross, processed after taste that so many protein bars have. I used them as post workout meals when I knew I didn't have time for a full meal (I sometimes have clients, runs and meeting back to back to back) and as afternoon pick-me-up snacks. I never felt heavy after eating any of the bars. I was traveling for a week during my testing period so I brought along the Protein2Go packets and the bars. These were great because I was traveling a lot during the days and were easy ways to get my protein when eating out all the time. I'm not a fan of pre-packaged shakes and thought those were the most processed tasting product out of everything I sampled. While I was home, I used the protein powder for everything - smoothies, baking and pancakes. I love my spinach, almond milk, banana and pineapple smoothie with french vanilla protein powder in the mornings. I made pancakes with both powder flavors - the white chocolate was delish with berries! I made banana bread and quinoa muffins with the vanilla protein powder. In short, I was a protein eating superstar all through April - even during my travels! 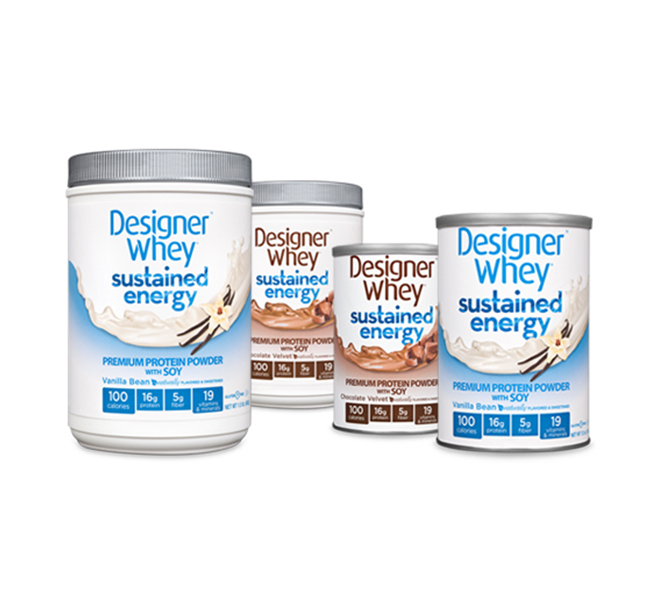 Overall, I would highly recommend the Designer Whey products I tested. I encourage my clients to test out products and find what works for them. I gave a few of them the Protein2Go packets and some of the powder. I especially like the bars and Protein2Go packets because they are easy, tasty and portable. I'm loving the White Chocolate powder and the lemonade Protein2Go flavor currently! Caitlin, our resident nutritial coach, shares her thoughts on nutrition and in eating while in recovery, the off-season. Jessica and I keep our hunger at bay during the off season by eating food that keeps us full, such as lara bars, apples and homemade granola. 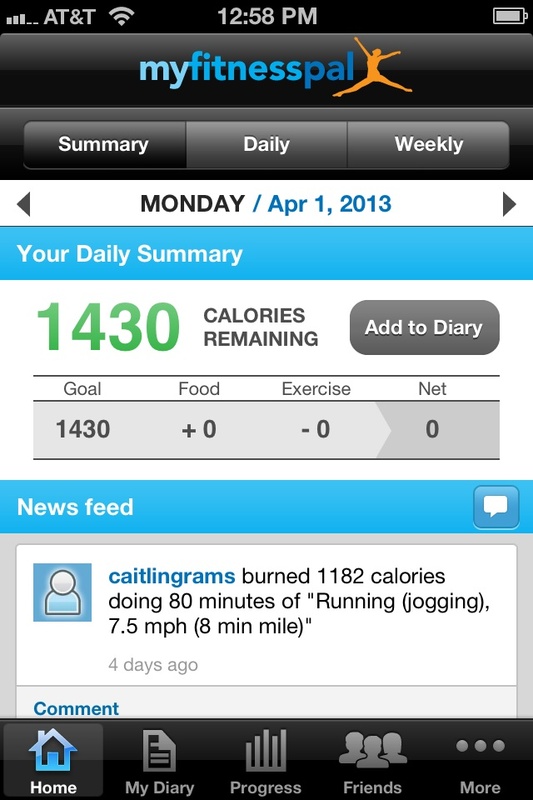 And thanks to Caitlin, Meghan understands the power of the food journal - she's been using it recently to lose a few pounds before she begins her half-marathon training. One of the most common side effects of long distance training is an increased appetite. Many runners love this part of training - it gives us the ability to have an extra treat or cheat a bit on a long run day and not see the usual side effects of weight gain. Although it is definitely possible to maintain or even gain weight while training for a race, it is even more likely that you gain weight directly after a race. Why does this happen? Right after you race, your body (and appetite) is still used to the high activity levels of training and anticipates a high level of calorie burn. Basically your body is asking for fuel to burn. However, most runners immediately step down their workouts post-race - leading to more calories consumed than calories burned. Our bodies still think they need more fuel for higher intensity workouts while we are taking more rest days. So how can we avoid weight gain during this time? Keep moving! You don't have to keep up the intensity you built during training, but don't go from running 30 miles a week to never leaving your couch. You might not be training, but try to get in a little activity each day - whether it's an easy run, a long walk, a bike ride, or a restorative yoga class. Be mindful of calories in vs. calories out. This might be a great time to start/restart a food journal or track your food using an app (My Fitness Pal is my personal favorite) and become aware of what you are putting into your body. Remember that if you are looking to maintain your current weight, it's okay to take in as many calories as you burn, but if you are looking to lose weight there needs to be a deficit - you must burn more than you take in. And if you eat more calories than you burn, you're looking at a likely weight gain. Be patient with yourself! It takes some time for your body to adjust, so you may feel hungrier for a few days. Listen to your body - feed it with healthy fuel, drink plenty of water, and be patient. After your body figures out that it needs less fuel, it will adjust and you will feel less hungry over time.